Guess presents this sleek men's gift set men’s. Showcasing a stainless steel watch with round black multifunctional chronograph dial and finished with a bracelet, this versatile watch will see him from day-to-night. Presented in a handsome gift box with a pair of stainless steel coin cufflinks, featuring the iconic Guess logo engraved onto the face. The perfect gift set for any modern man for any occasion. 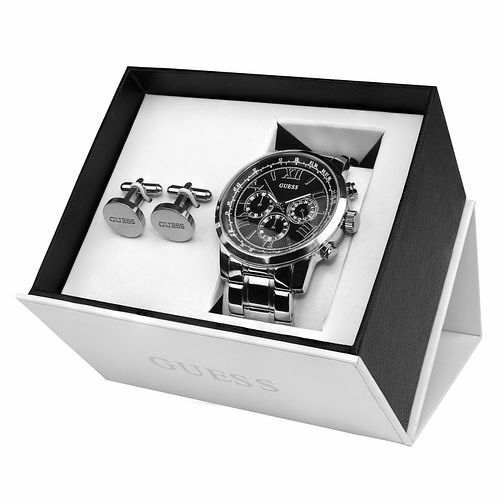 Guess Men's Stainless Steel Watch & Cufflink Gift Set is rated 5.0 out of 5 by 5.